If you have questions about the Hamilton CapTel Noah module or are having difficulties downloading, installing, or submitting the Certificate of Hearing Loss/Order Form via the module, please contact Customer Care (information below) or complete the Request Support form found at the bottom of the page. What is the current version of the Hamilton CapTel Noah Module? 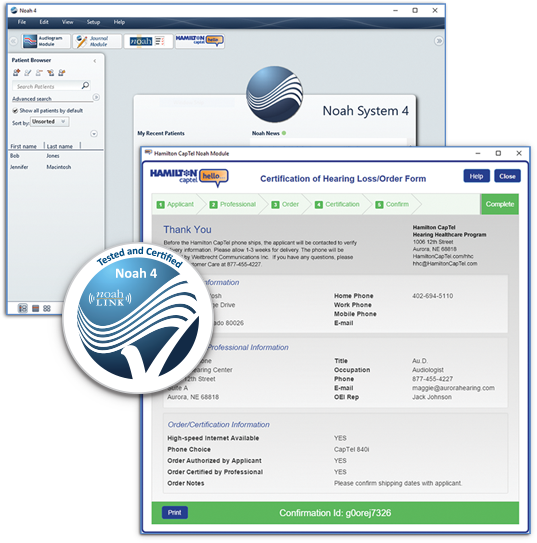 The latest version of the Certificate of Hearing Loss/Order Form Noah Module is 2.0.627. What versions of Noah does the Hamilton CapTel Noah Module support? The Hamilton CapTel Noah Module supports all versions of Noah 4.5.1 and above. What versions of Microsoft Windows™ does the Hamilton CapTel Noah Module support? The Hamilton CapTel Noah Module supports Windows 7 Pro (X86), Windows 7 Pro (X64), Windows 8.1 Pro (X64), and Windows 10 Pro (X64). For more information on Noah installation requirements, visit the HIMSA learning center. If you are inquiring about a submitted Certificate of Hearing Loss/Order Form, please provide the Certification ID listed on your submission response below. Not a registered user of the Hamilton CapTel Noah Module? 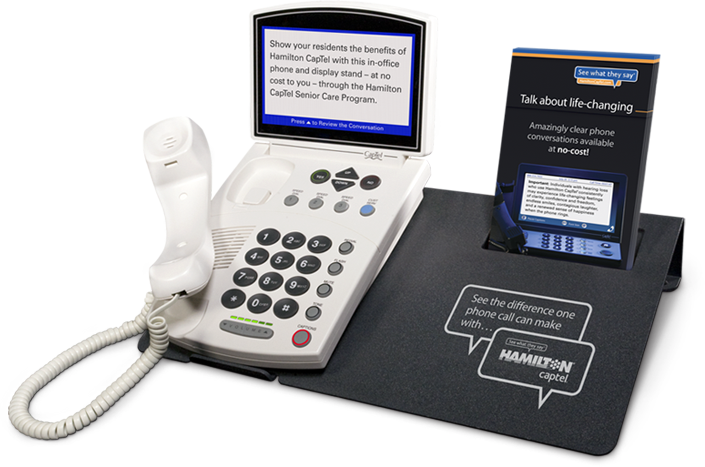 The Hamilton CapTel Noah Module integrates the Certificate of Hearing Loss/Order Form into the HIMSA Noah platform and is part of the Hamilton CapTel Hearing Healthcare Program. If you’d like to use the Noah Module but are new to Hamilton CapTel, learn more about the program and benefits to get started.